Last month I had a very unique opportunity to travel to Cambodia. My hope in this blog post is to share an overview of my experience and then I’m going to write separate posts to go into more detail on other parts of the trip. Almost eight months ago my Lead Pastor invited me to go to Cambodia with him. He had already been to the country four times and this would be his fifth trip. The goal of the trip would be to teach the book of Revelation of 80-100 pastors. 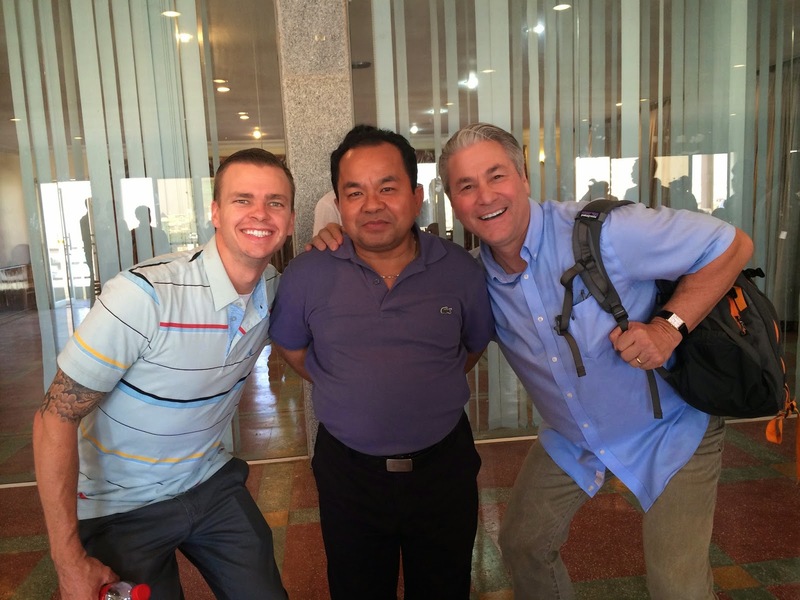 We partnered with Paul Nuth, one of our missions partners, who is originally from Cambodia. This was my first trip to Asia and it was a great experience to see this beautiful country. In another blog post I’m going to talk about some of the sights we saw and what we learned about the post communist country. It was a long flight! We spent over 17 hours in planes and almost 5 hours in airports just to get there. The transportation was a new experience for me upon arriving in the country. In another post I’ll go more in detail on Tuk Tuk’s and the thousands of moto’s driving around. Obviously anytime you travel there is going to be good food and bad food. Thankfully I love Asian food and would consider myself to be a semi-adventurous eater. I really enjoyed some, ok most, of the food we had to eat. If you ever visit Phnom Penh I want to give you a few places you must try while there! Finally the thing that makes a country isn’t the transportation, food or sights. The thing that makes a country so great, like Cambodia, is the people. I met some of the most caring people who had smiles on their faces despite all the loss they encountered under the communist reign of Pol Pot. I want to take more time to just share about some of the men and women who impacted my life on the trip. Well, I know this is a short post to prep you for what’s coming on the Cambodia update front but now you know what you to look forward to!